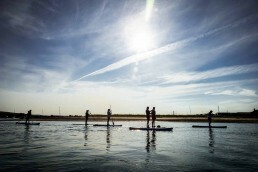 Hop aboard one of our SUPS for an experience like no other! 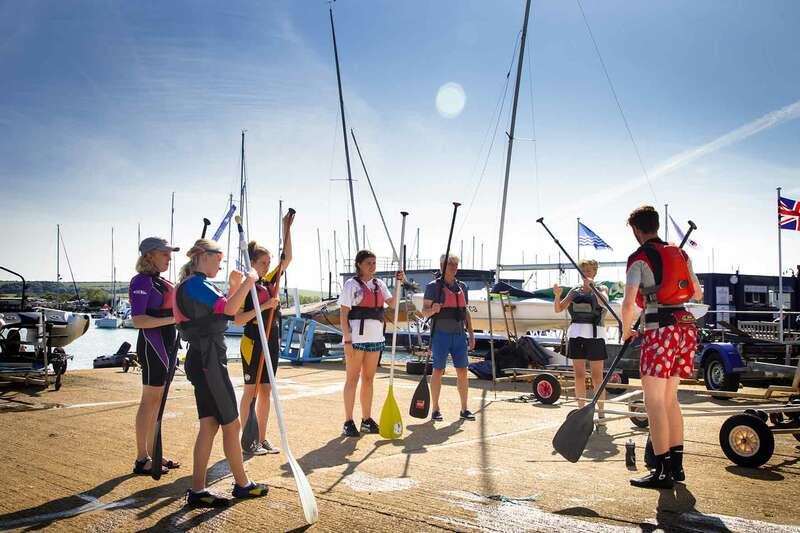 Our splash sessions run daily in and around Bembridge Harbour and are designed to show you the ropes, in a safe environment. 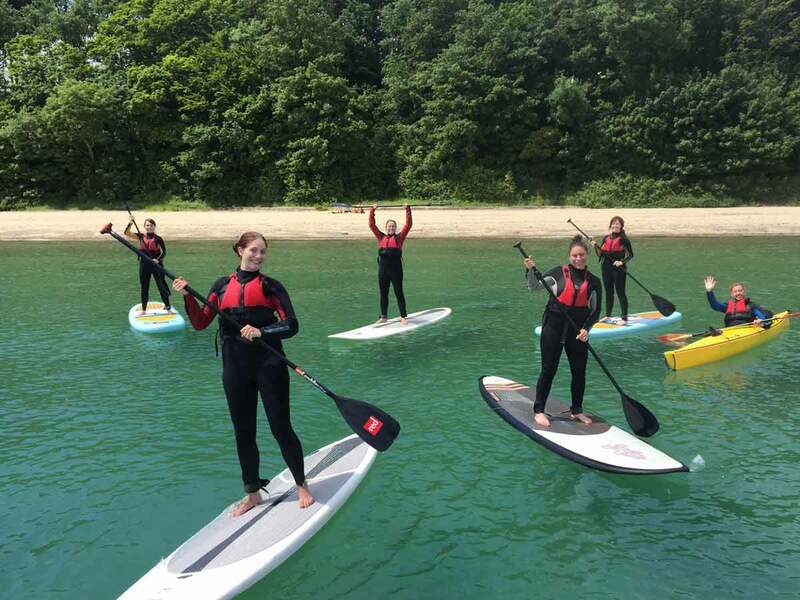 Our qualified instructors will show you the ropes and some techniques to keep balanced in the water with some fun games and challenges on the way. 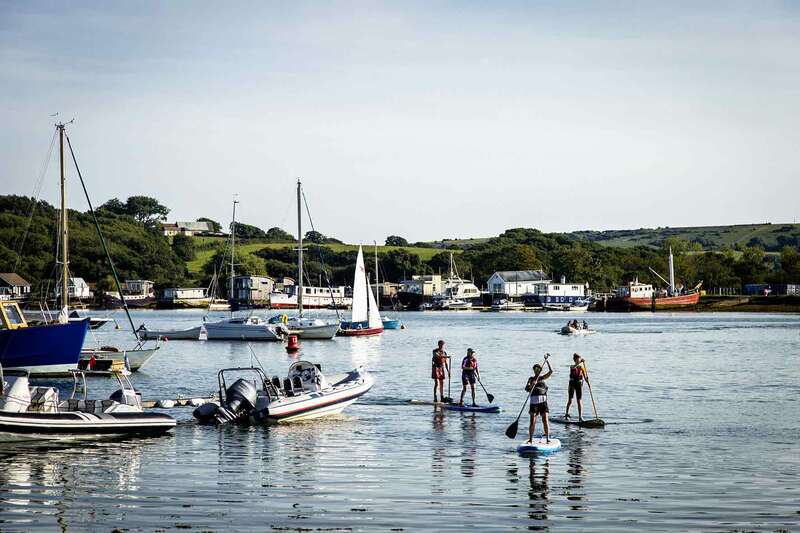 Join our Stand Up Paddleboard explorer session, where you can adventure along the stunning coastline to view it from a different angle. 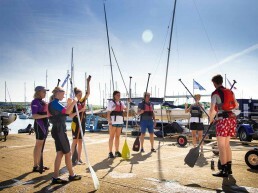 Our experienced staff are on hand to help you develop your paddling technique and tell you some facts about the local area. MEGA SUP – New for 2018! 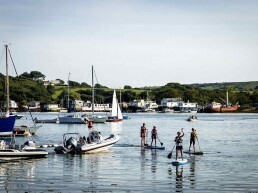 Jump on our giant SUP and take part in a range of challenges to get you working as a team. 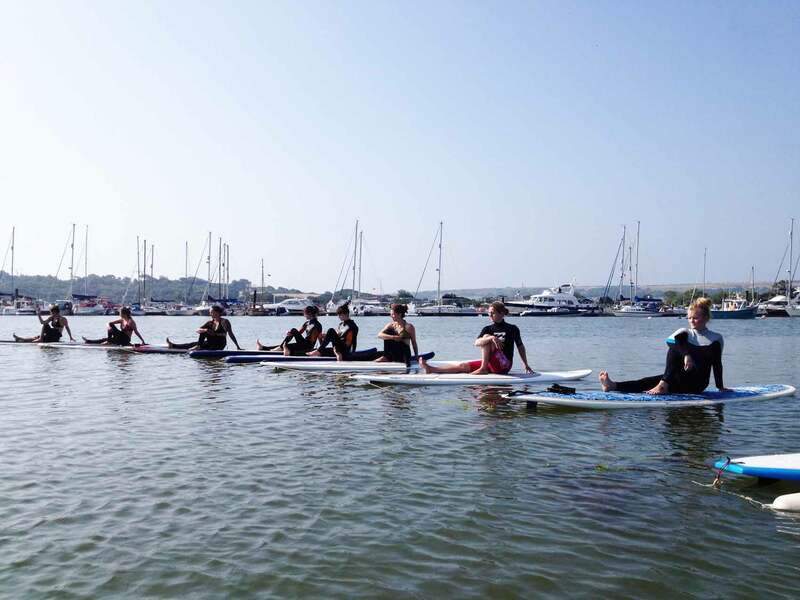 Our instructor will get you paddling along and standing up in a group. 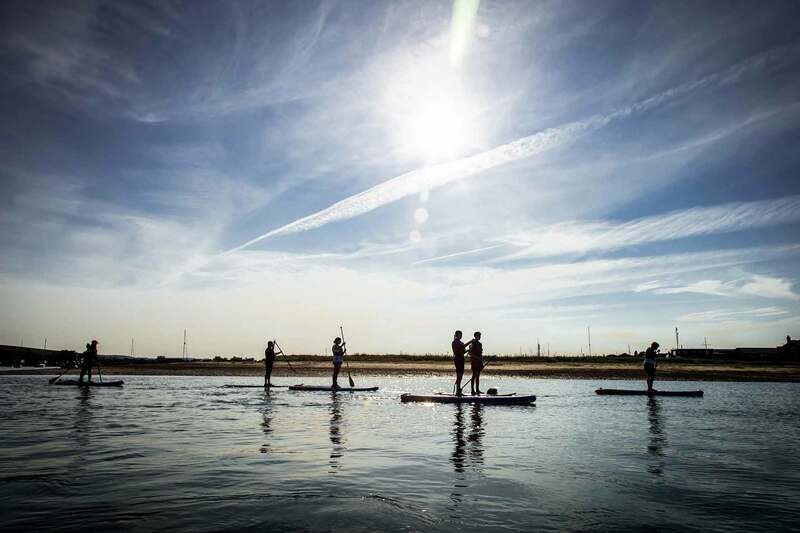 Our longer two hour sessions help you learn how to keep balanced as you explore Bembridge Harbour and the surrounding coastline. Ideal for families, friends, stag and hen parties and team building groups!  Please note we do not supply footwear for water activities. 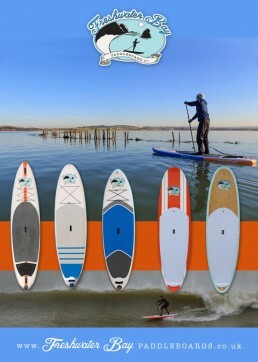 We have a variety of paddleboards for all abilities. Our inflatable boards can roll up and fit in a bag. 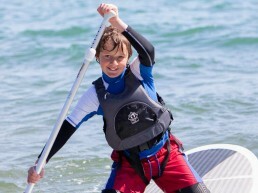 They are lightweight and stable, great for playing off the beach on flat water. 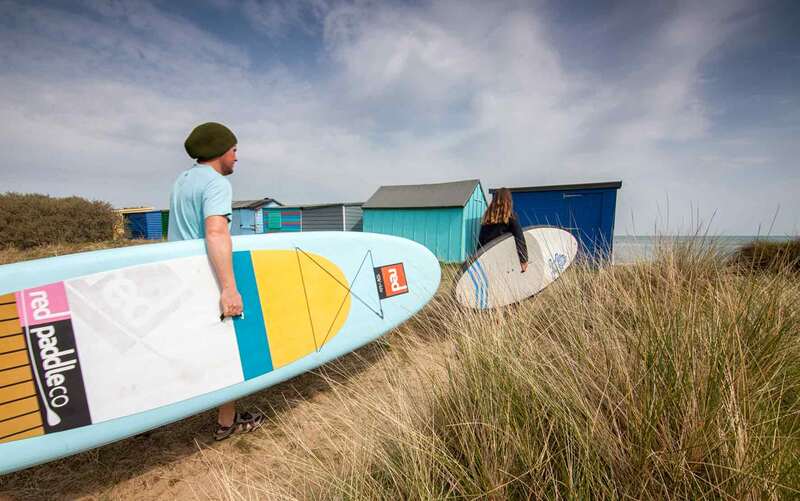 Solid boards are perfect for speed and performance and are ideal for going in a bit of swell. 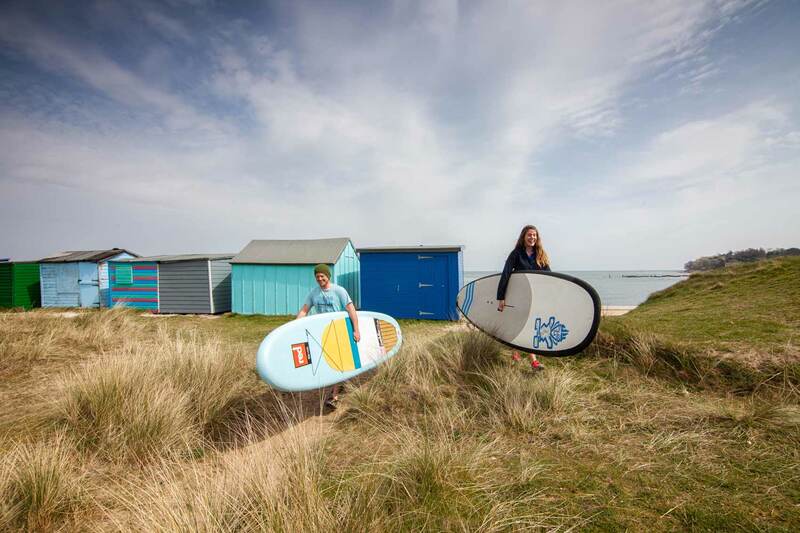 Our board range from 10’2” up to 11’4” and are designed for different people and abilities. 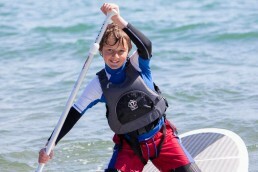 Our staff will advise the best board for you. 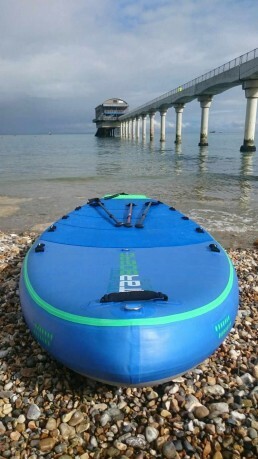 Meet our latest piece of kit, the Starboard Starship. 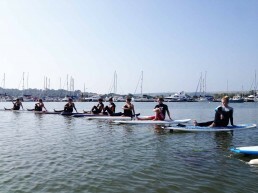 With plenty of volume to accommodate up to 8 adults, the Starship is designed for maximum stability. 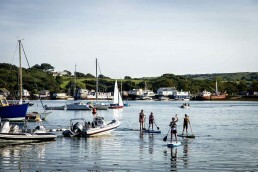 A great option for families and friends, for surfing, exploring or just having fun on the water. A perfect tool for team building, racing on the Starship requires coordination and communication to win.